The Port Cask Matured 2018 edition is a vatting of thirty ruby port hogsheads filled in 2014, bottled in Spring 2018. 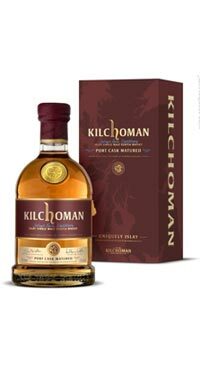 Rich auburn colour, red fruit, light citrus, earthy peat smoke and creamy sweetness on the nose. The palata shows redcurrant jam, cinnamon with layers of citrus, floral and coastal influence. Layers of cooked red fruits, vanilla, peat and lasting intensity.